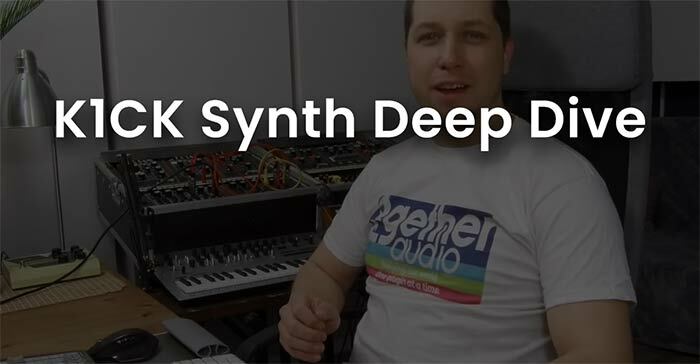 Whether you’re a pop composer looking for the perfect kick to sit in your mix, a hip-hop lover addicted to lo-fi or an EDM producer looking to make the dancefloor shake, K1CK Synth delivers. 100 fully editable kick patches, plus another 100 sampled attacks, all inside a serious hybrid synth engine. Get ready for some floor breaking bass, booming 808s, acoustic lo-fi kicks, and a whole lot more. Get a Free Trial to hear for yourself! Don’t let a simple interface fool you. 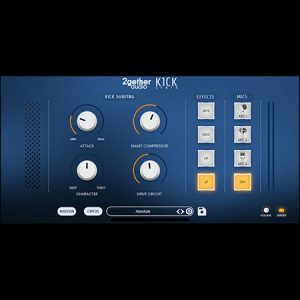 Under the hood of K1CK Synth is a serious hybrid audio engine that’s finely tuned to deliver a huge range of kick drum sounds. 100 sampled attacks with shape, pitch and level control for designing the all-important attack of your drum. Next comes the body of the sound, with two envelopes to tune and decay your kick just the way you like it. 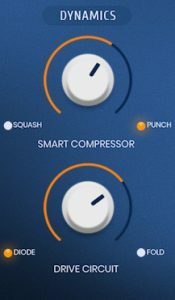 Use the Smart Compressor and Drive Circuit to dial in extra punch and presence. Four modern FX processors: a decimator, bit crusher, low pass filter and high pass filter, further refine your sound. Add some polish and set your drum in the mix just right by running it through three of the most popular kick drum mics used today. A one knob macro to alter the attack portion of your kick drum sound. A one knob circuit for transforming the kick drum from deep to tight. A one knob macro to alter the dynamics or punch of your kick drum sound. A one knob macro to alter the sonic character of your kick drum sound. Quickly turn on and off four different modern effects. Select from one of three popular kick drum microphones. Switch between Simple Edit and Expert Edit views with this button. Simple Edit lets you quickly select and tweak your kick drum sounds with four highly customized macro knobs, four on/off effects, and four mic selection buttons. Expert Edit lets you dig into deeper to more finely tune and craft your kick drum sounds with controls for adjusting the attack, body, punch, character, and mic sound of your drums. Quickly play your sound while editing by pressing the Audition button. Get started with 100 factory kick drum presets. All are fully editable, after which you can name and save them to your user presets folder. Dial in the perfect attack portion of your kick drum sound with these five parameters. The dropdown selects from a large list of sampled attack transients. Tune will set the pitch, Hold and Decay will shape the volume over time, and Level will set its volume. Use the dropdown or quick select arrows to select from 100 sampled attack transients. The oscillator section shapes the body of your kick drum sound. Two dedicated envelopes allow you to shape the pitch and the volume of the drum. 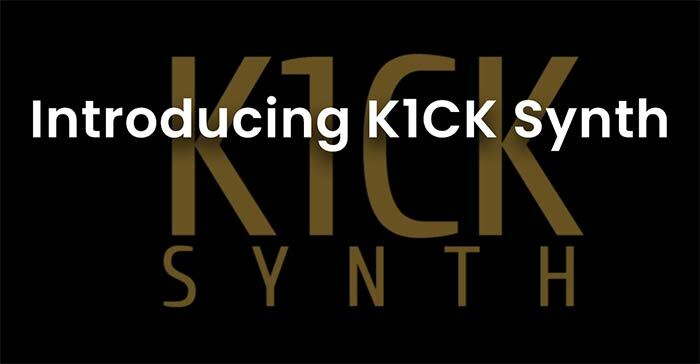 K1CK Synths Dynamics section lets you dial up how much punch you want in your kick drum sound. The Smart Compressor is a single knob, two switch circuit to control the dynamics. The Drive Circuit is a single knob, two switch circuit to add distortion and extra harmonics. Add additional character to your kick sound with four modern effects. The Bitcrush lets you dial in that classic reduced bit width distortion. Decimate gives you that classic low sample rate distortion. High pass and Low pass filters allow you to shape the frequency response. Run your sound through one of three of the most popular kick drum microphones. 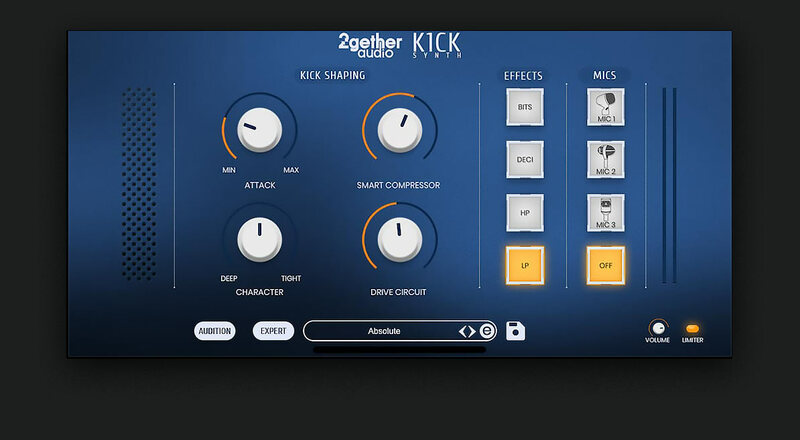 Switch to full velocity to have your kick drum play at full level. Switch between having your kick drum transpose across the keyboard or play at the same pitch across the keyboard. Getting a little too aggressive with the punch? No problem. Turn on the Limiter to prevent overloading. Switch between Simple Edit and Exoert Edit views with this button. Powerful hybrid synth engine delivers floor breaking bass, booming 808s, acoustic lo-fi kicks, and a whole lot more. This is the discounted price for this product. Select this if you are a student or on a limited budget.